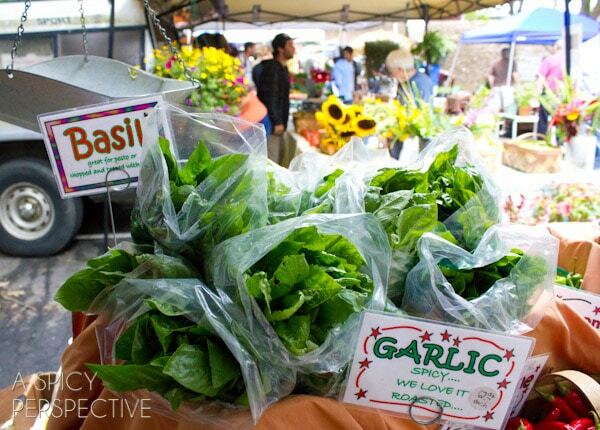 Do you visit your local farmers market? Today I’m sharing one of my recent trips to the farmers market and some great foodie finds! 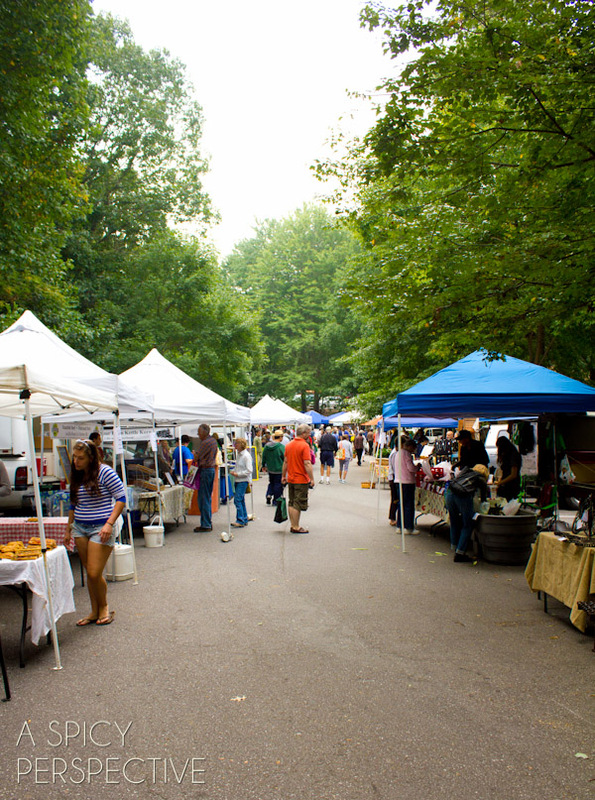 Although we have wonderful grocery stores in Asheville, my favorite place to shop for food is at the farmers market. 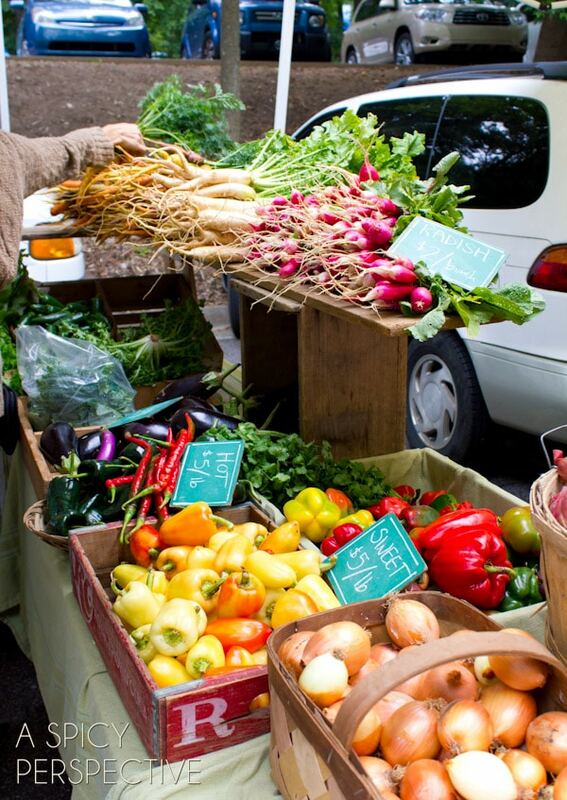 For me, it’s a true pleasure to wake up on a Saturday morning, roll out of bed, tie my hair in a knot, grab my heavy-duty grocery bag, and head to the outdoor farmers market. The leisurely stroll through the farm stands on a crisp autumn morning awakens my senses, and revives a deep longing for connection to the foods I serve my family. With all the benefits of modern technology, one of the true travesties of our current generation is how disconnected we are with the foods we consume. Food for many people is a foreign element, meant to be enjoyed but not considered. 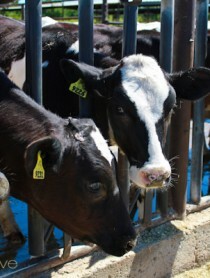 We’ve lost touch with the process of farming, butchering, and other natural methods of cultivating fresh whole foods. In many cases we don’t want to think about it. Yet standing in the farmers market, taking in the colors and aromas of baked goods, wild or grass-fed meats, roasted nuts, and freshly picked produce piled on all sides, one can only bask in the sensation of intimacy with the foods that sustain us. You can talk with the farmers and ask questions about the way they grow and manage their crops. This sort of “insider information” makes me want to treat the food I purchase with respect. 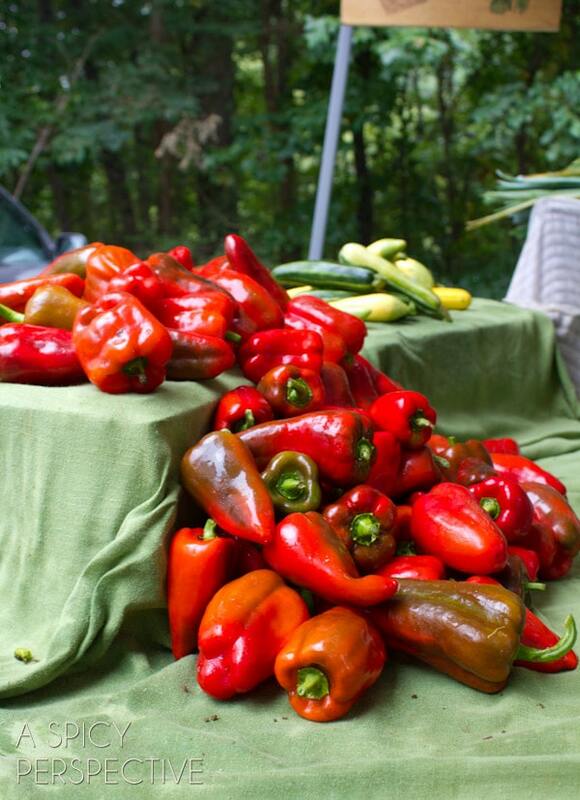 Last week, one of my farmers market finds were gorgeous italian sweet peppers. We sliced and ate quite a few of them for lunch on Saturday, but I kept thinking how wonderful they would taste in a tart or savory pie for fall entertaining. 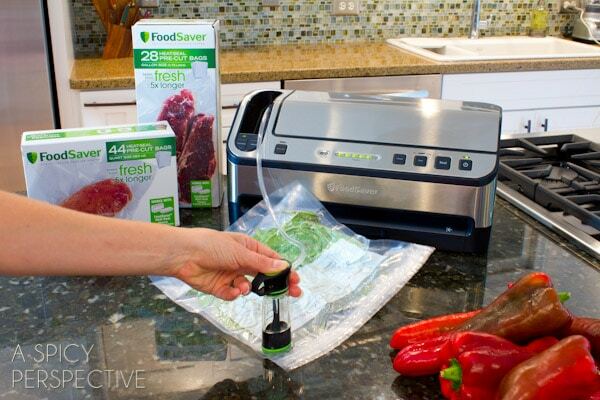 I immediately pulled out my FoodSaver Vacuum Sealer to preserve some of my fresh sweet peppers for later in the season. The thing I love about using my FoodSaver, is that is makes my farm fresh produce last so much longer than it normally would. The peppers I bought would normally need to be used within a week to 10 days, but once they are vacuum sealed, they can last weeks and weeks, and still taste just as fresh as the day I bought them. I decided to do a little experiment after the farmers market trip. I vacuum sealed some of the basil and italian peppers I bought and I’m going to let you know later just how long they stayed fresh. Good idea? One cool thing about the FoodSaver I have, is that you can heat seal foods in specially sized bags that you cut to the dimension you prefer, or you can use the FoodSaver bags and the hose attachment to vacuum seal at rapid pace. My kids love the FoodSaver hose! I’m keeping an eye on my vacuum sealed peppers and I’ll give you an update in a couple months. Disclosure: This post is sponsored by FoodSaver. All opinions are my own. 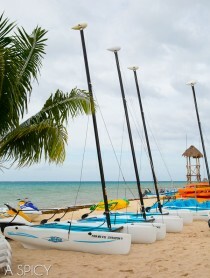 Are All Inclusive Resorts for You? I love my Seal A Meal and Food Saver – Amazing how long the food will last! Thanks for even more tips! Time to go to Farmers Market and get to sealing in the freshness! I just purchased this FoodSaver today. I am just like your kids though, the hose is a lot of fun to play with. I can’t wait to put it to good use! Tomatoes,that just grew from the side of the bin from the scraps that are put in the compost pile! it amazes me. If you don’t compost ,it’s worth a try.not smelly at all !its a good feeling to give back to the earth…. I have been trying to find some place where it gives the product dimensions of this new FoodSaver and am unable to find it – can you tell me please? Also can you still do like the Mason jar seal with it?? Thanks for your help! Very cool. I love preserving what’s fresh now for later. 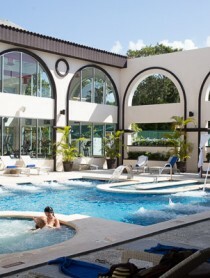 I need it in the middle of winter, especially. Such a great idea. I use mine for freezing mostly. Will give this a try! You’ve convinced me – I need a FoodSaver! Looks like I need to get me a FoodSaver, I always feel like I am wasteful when I throw old veggies away. 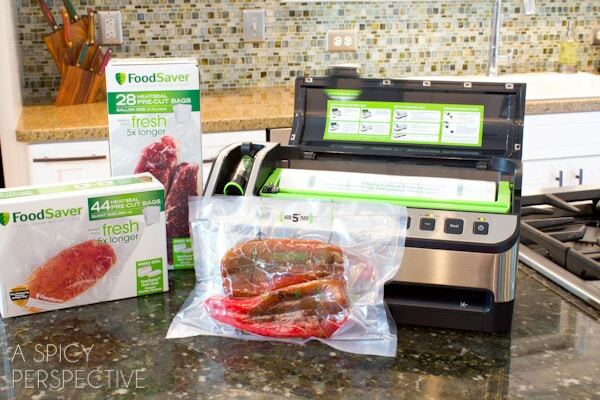 I’ve never used FoodSaver, but have always wanted one! Such a colorful and pretty post! 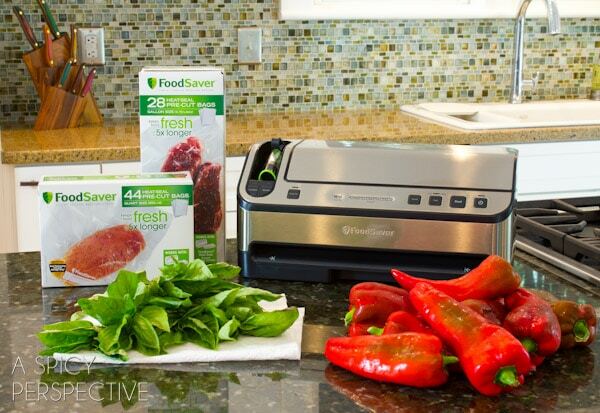 You totally convinced me it is time for a FoodSaver! Looking forward to your update post! I have been considering a vacuum sealer, but want to know if the pump attachment is really effective or if the air eventually seeps in, like regular freezer bags. this is so fun! I’ve gotta get one of these! Love the idea of a food saver to preserve the best produce of the summer! 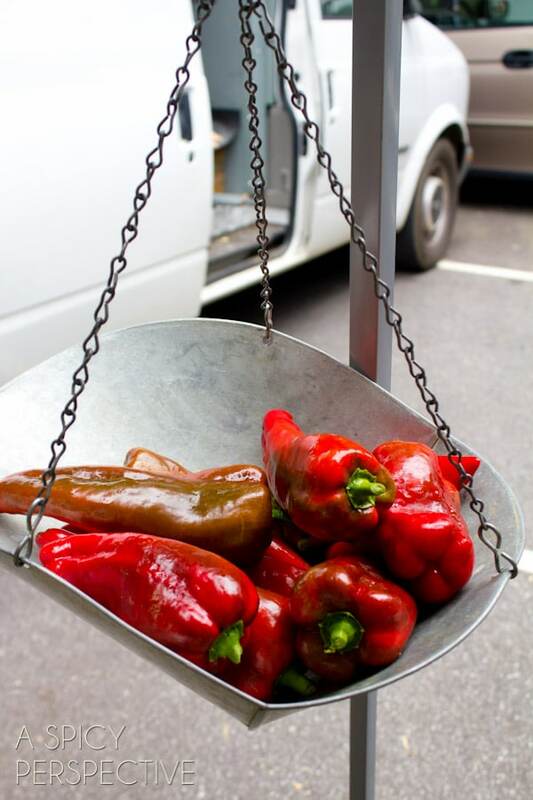 I’ve been meaning to visit my local farmers market – hoping to go this weekend! pretty dang cool! I think I am going to have to look into this! I don’t understand sealing fresh produce… I have 2 Food savers… An older one & a newer one that has the vacuum hose to B able 2 seal jars. Wouldn’t the ‘gas’ that fresh vegetables deteriate the vegetable??? Well, I’m vacuum sealing the peppers so I can use what’s fresh at the market today, in a few weeks. I believe the lack of air in the vacuum sealed bag causes the gases to release at a slower rate. We shall see…. Please keep us in the loop… Thanks>>> sealing my greenhouse today! I have an old foodsaver that we use quite a bit to freeze foods. I never thought of fresh foods before. Do you refridgerate them or store them in a cool place? also, do you clean them first or save them just as God grew them? I washed them and then vacuum sealed. I’ve been thinking about trying a food saver for a while, so thanks for sharing your experience. Can’t wait to hear how your peppers turn out. adore this! i’m obsessed with my foodsaver!! 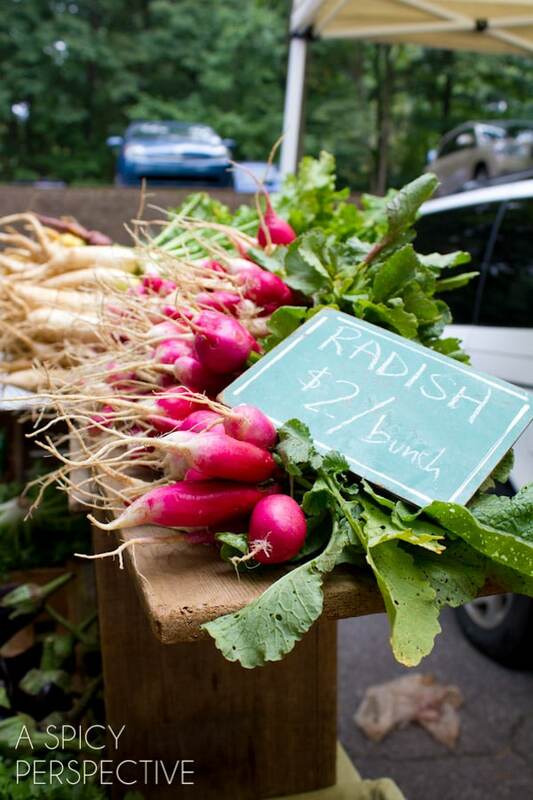 your pics of the farmers market is beautiful!